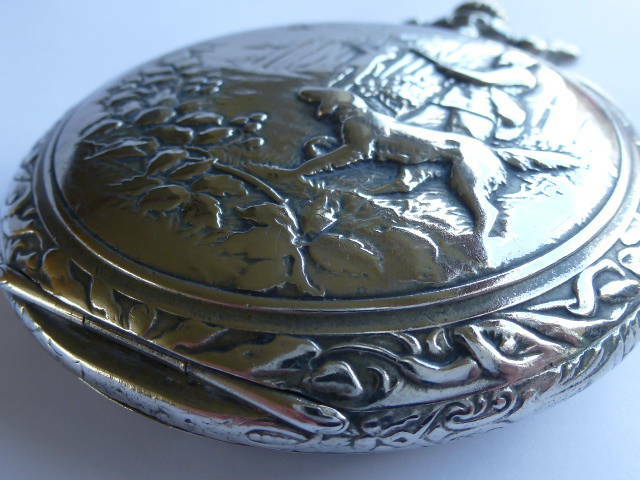 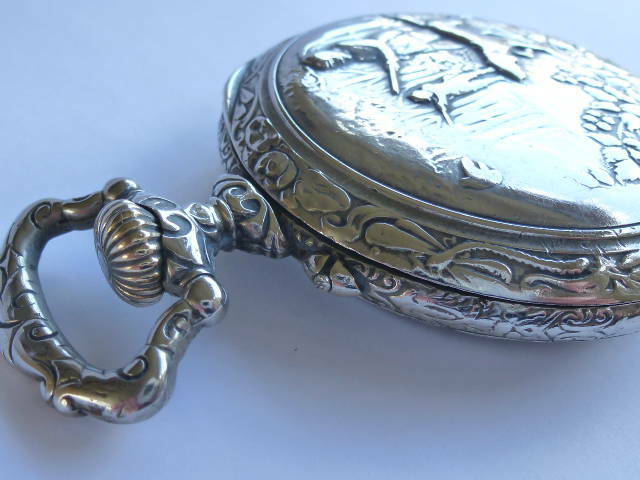 HOME » ANTIQUE POCKET WATCHES WITH CHATELAINE OR CHAIN » 154. 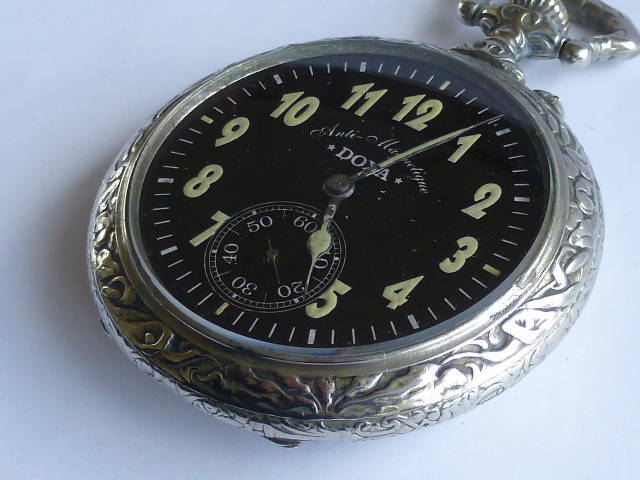 DOXA pocket watch "Goliath Watch". 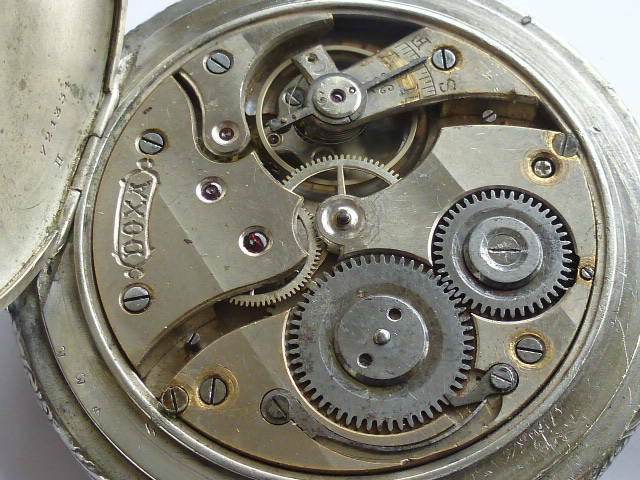 Ca 1905. 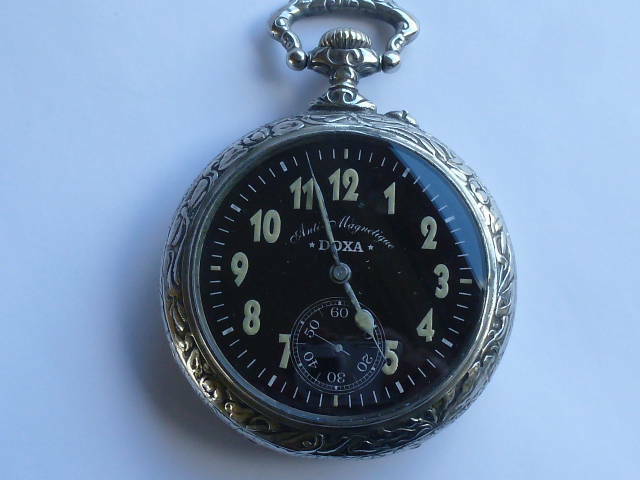 Rare black dial. 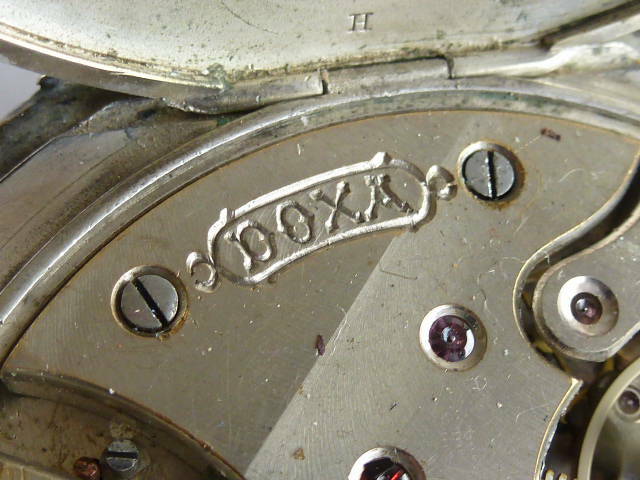 154. 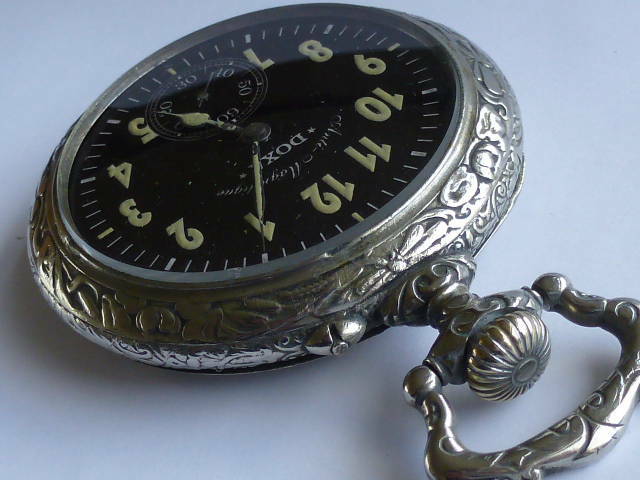 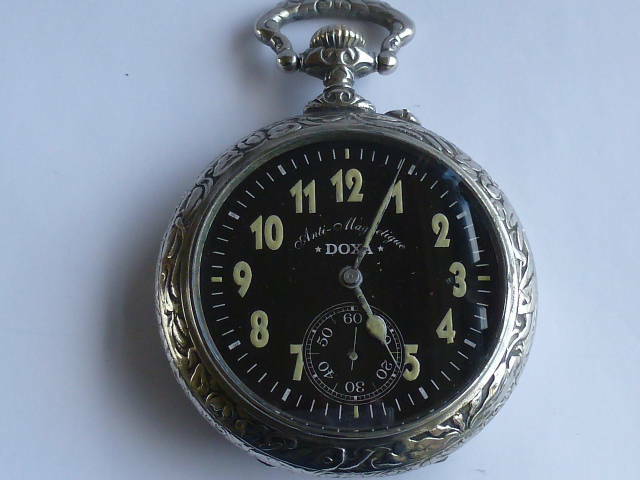 DOXA pocket watch, Anti Magnetique, Goliath watch Ca. 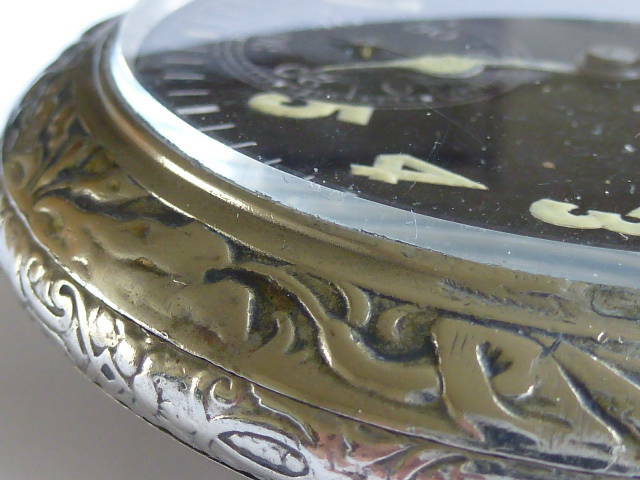 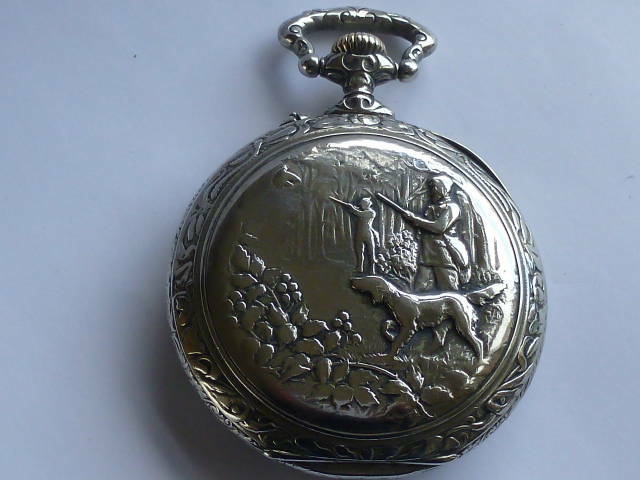 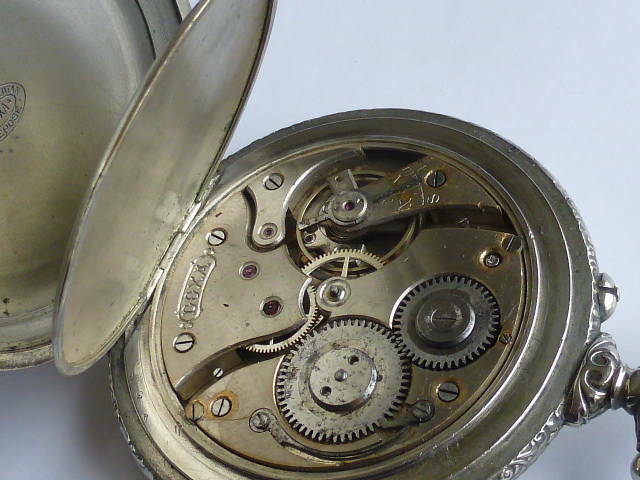 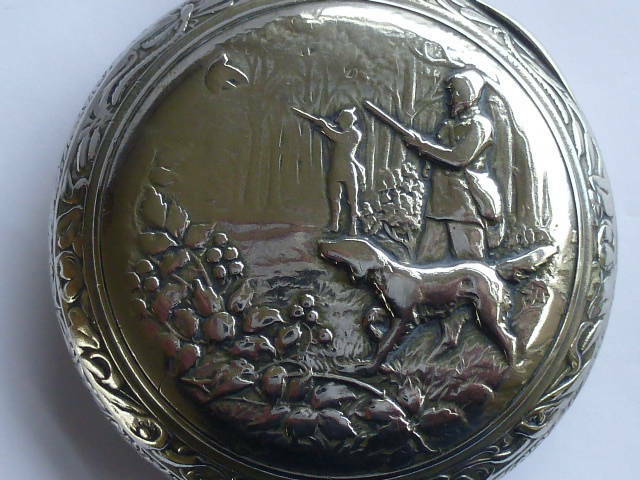 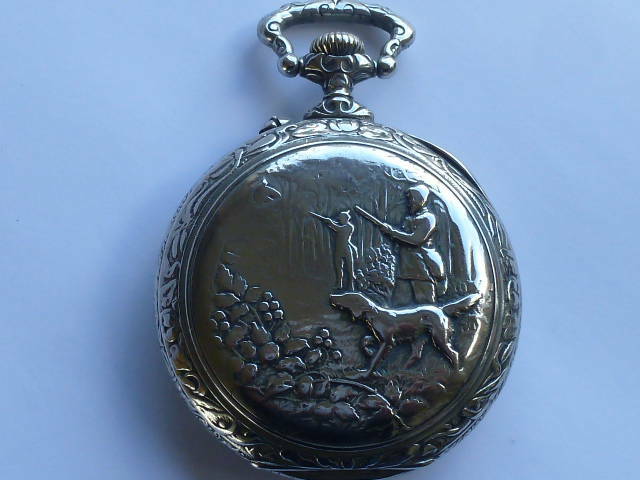 1905, Rare black dial, remontoir movement, repouse hunter scene at the back, 70 mm diameter, with crown 100 mm. 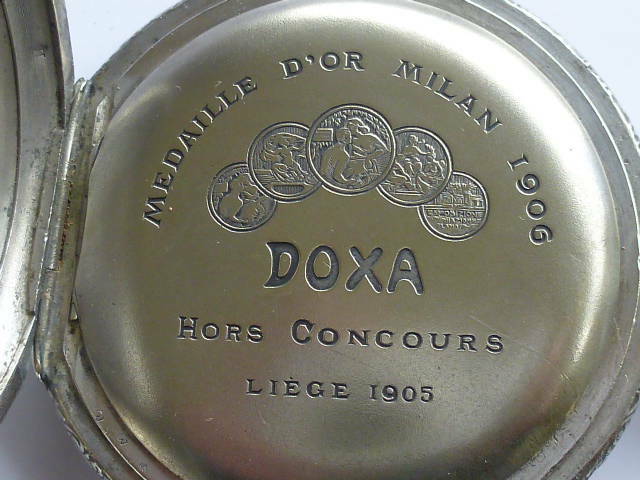 Doxa was founded by Georges Ducommun ( Le Locle 1868-1936 ) in 1889 in the canton Neuchatel in the Swiss Jura. 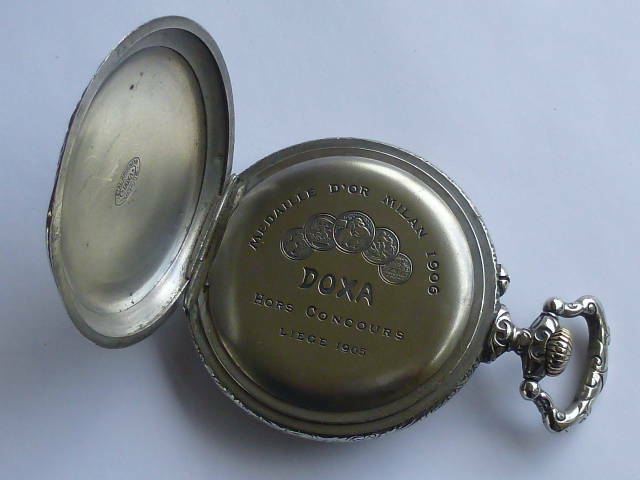 Georges Ducommun grew up in a modest family, he had 13 brothers and sisters. 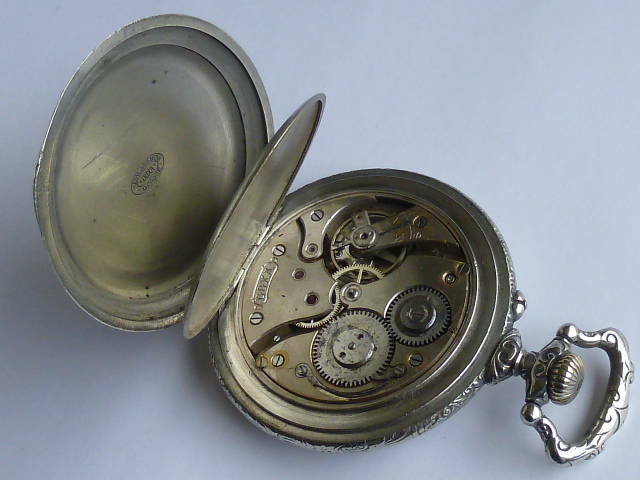 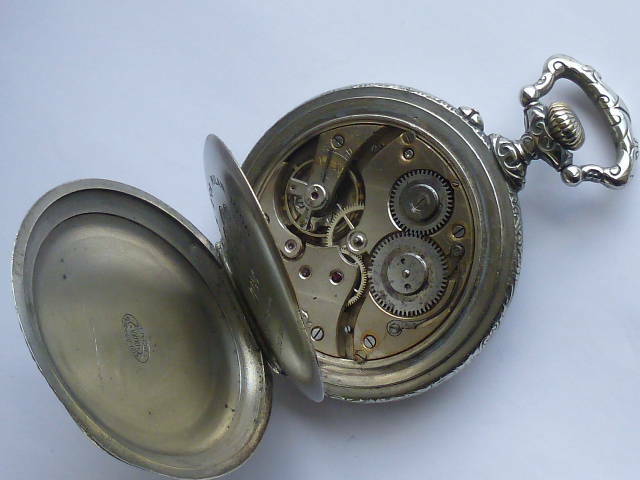 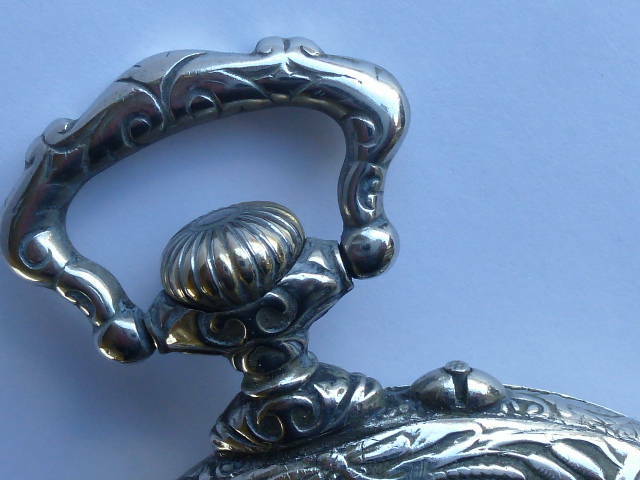 At the age of 12 he started to work as aprentice constructing pocket watches. 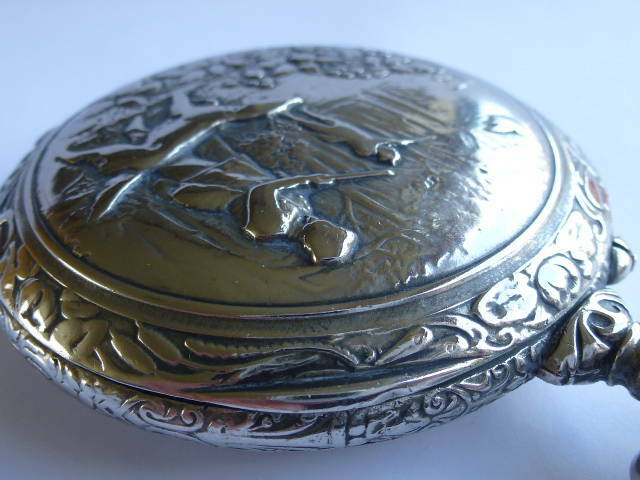 About 20 years old he started his own bussiness DOXA with succes which made it possible to re-establish the firm at Chateau des Monts. 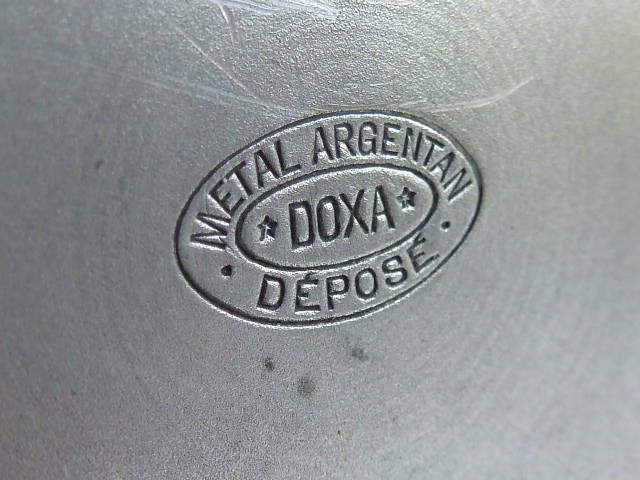 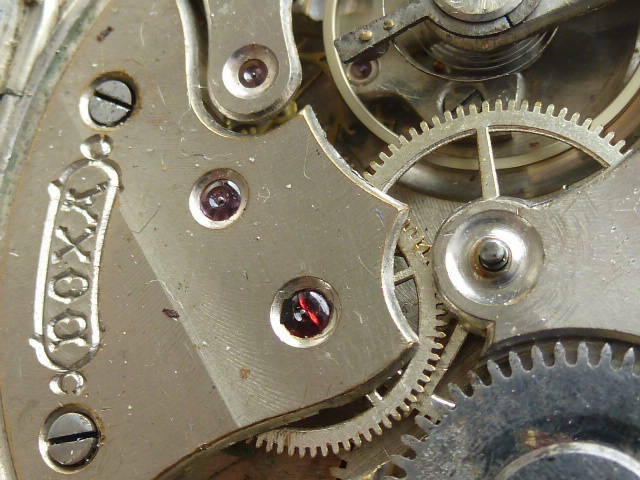 DOXA became worldwide known for developping watches and movements for the car industry . 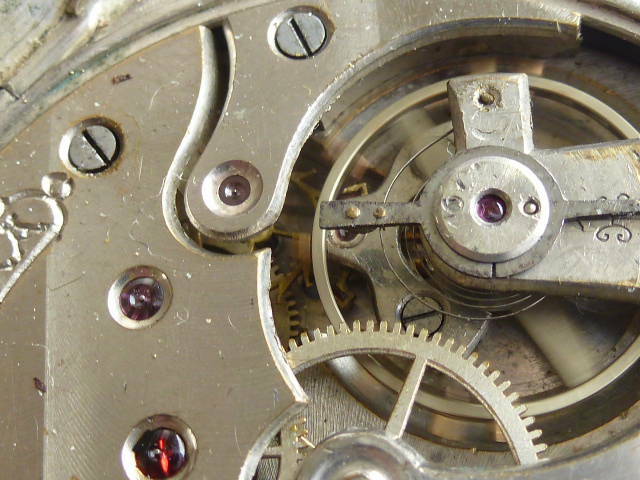 Georges Ducommun loved cars as can be seen in the watch museum at Chateau des Monts.